Families like Vanessa's are at an extreme risk if any one of their family members get sick. Learn more. Not having paid sick time affected Allan's life drastically. Learn more. Marilyn has lasting injuries because she couldn't afford days off work. Learn more. Sign the petition to tell our Representatives Texas families deserve paid sick time. 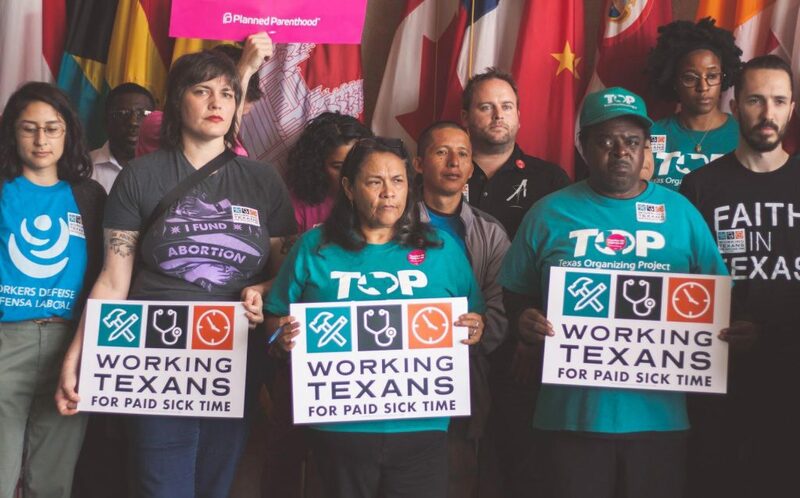 By signing this, you will be a Working Texans for Paid Sick Time supporter and will receive information about our campaigns. It’s time our elected leaders understood that smart health choices are good for both Texas businesses and working families. We will fight to keep this right for all families in Texas.